Every time someone asks me what the hardest thing about full-time RV living was for me personally, I always say it was the grocery shopping. Not the lack of space. Not the lack of privacy. Nope, it was the grocery shopping. We even named grocery shopping as one of the top five hardest things about full-time RVing. Something I should mention is that I don’t really enjoy grocery shopping as it is, so that could have a tad bit to do with how overwhelming it seemed for us at times. Now that we’re back living a stationary life, I order my groceries online and then pick them up about three blocks away from our home. Thank you 21st century. If grocery shopping brings you joy and you love spending time roaming the aisles, discovering all of the different choices, then most likely this won’t be such a huge deal for you. Even though grocery shopping was not enjoyable for us, we got really good at it. We knew when to go, how to shop and how to get it all put away in a timely manner. 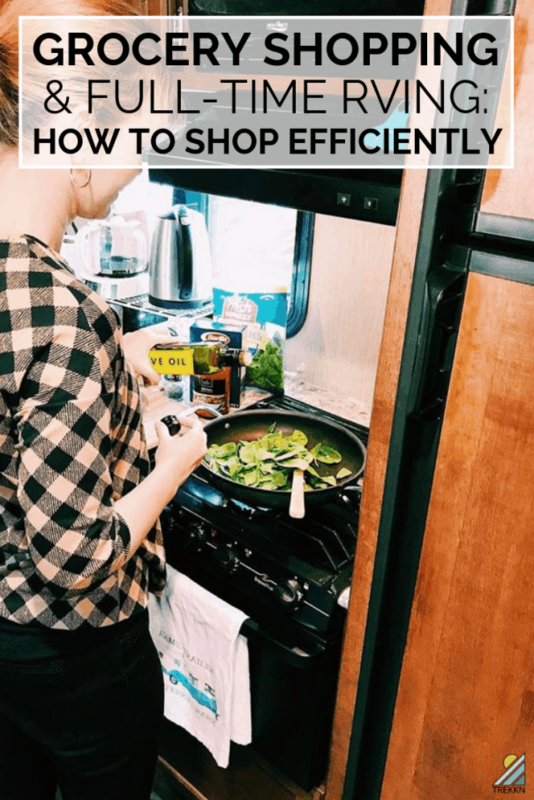 Here’s what we did to make the grocery shopping process go as efficiently and smoothly as possible during our time on the road. This is something we started doing fairly early during our travels. After attempts at grocery shopping after getting our campsite set up, we realized that for us, this was not the way to do it. Once our campsite is set up, it’s time to chill and the last thing either of us wanted to do was to hop back in the truck in search of a store. 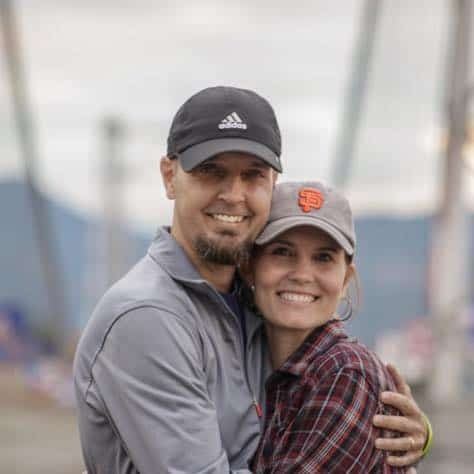 So we usually tried to find either a Walmart (which usually have large parking lots to park in) or a grocery store with ample parking (since our travel trailer was in tow) along our route to our next RV park or campground. Many times we were staying in tiny towns 30 minutes to an hour outside of the larger cities. Grocery shopping on the way allowed us to shop at the larger stores, which are normally less expensive, and ones we usually recognized. Once we found a place to park, Todd and I would head into the store while the kids waited in the car and we would divide and conquer. He took part of the list and shopped and I took the other part. We could be in and out much quicker that way. Usually before shopping, we would eat lunch in the parking lot of the grocery store. We could grab something within walking distance of the store to eat or eat whatever we had on hand. We’ve had many peanut butter and jelly sandwiches in Walmart parking lots, but would also occasionally indulge in a Subway sandwich instead. How did this help us grocery shop efficiently? For one, we wouldn’t go into the store hungry because we all know that’s never a good idea. And two, when we ate what we had on hand it helped us clear out the fridge and pantry for the next round of groceries. I hesitated to put this tip in here, but hey, it’s something that helped us. If we started our day late and were in a hurry or grocery shopping took longer than usual (I’m talking to you Canada), one thing we started doing was only putting away the fridge and freezer items. We just left the pantry items in the bags, tucked away somewhere safe for the duration of the drive and then put them away during campsite set up. Now, obviously, if you buy something like chocolate you can’t leave that out because RVs can get incredibly hot on travel days. So protect that chocolate at all costs and put it in the fridge. Cold chocolate is delicious anyway, am I right? 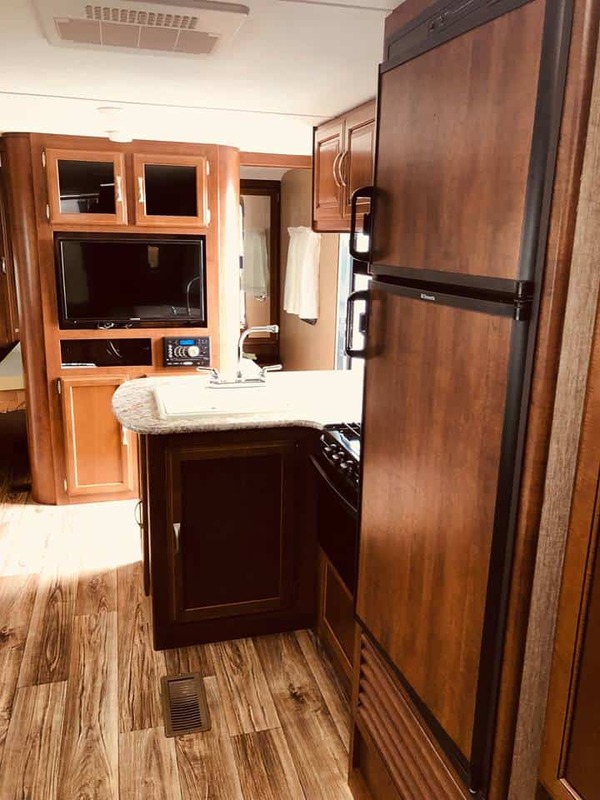 If you’re already familiar with putting groceries away in your RV, then you know it usually involves some Tetris like magic to get everything to fit. Especially if you’re feeding five people like we were. My family was always amazed at how I managed to fit everything we purchased in our fridge and pantry. It became my superpower. I love to cook. And I love to try new recipes and really dislike making the same things over and over. But as I quickly started to realize during our travels, I couldn’t get too creative. For example…when we crossed the border into Canada from Montana, I had pesto quesadillas on my menu plan. 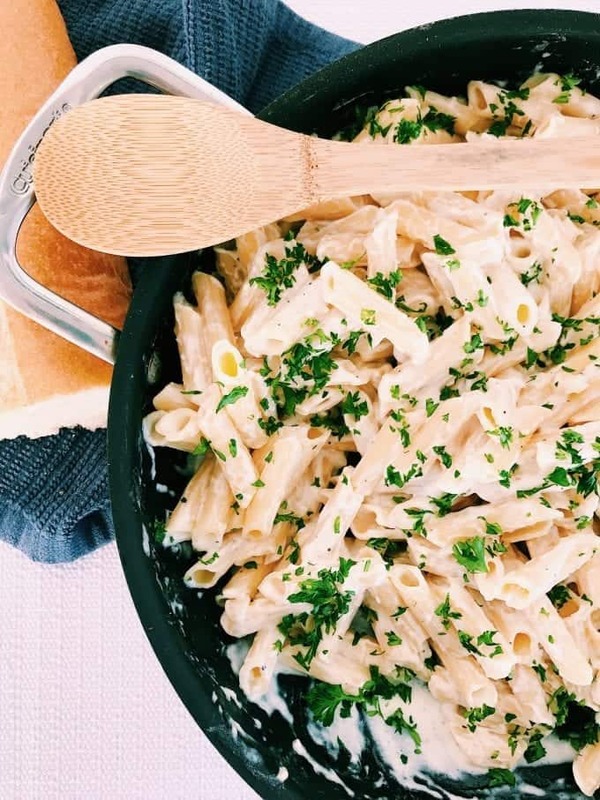 It’s one of our favorite things to eat, plus super quick to whip up. So we pulled into a store parking lot that kind of resembled an American Costco and after figuring out how to get a shopping cart (you have to put a coin in), we got to shopping. Using our divide and conquer method, tortillas were on Todd’s list. Tortillas became Todd’s mission. Alberta, Canada (at least at this particular store) had never even heard of tortillas. They sent him to the chip aisle. I think they also sent him over to the bagels. Needless to say, it was a pretty humorous experience and no, we did not have pesto quesadillas while we were there. I learned to keep our meals pretty simple, as well as to go with the flow if they didn’t have something I needed. I also learned quickly that meal planning was just as essential on the road full-time as it was for when we lived a stationary life. Maybe even more important. When your campsite is 45 minutes away from the nearest grocery store, knowing what you’re going to make and having those ingredients on hand is crucial. I made it a habit of meal planning and making the grocery list on our travel day and not only did it make our time in our next destination more enjoyable, but it also helped make grocery shopping and stocking up less stressful. I hope these grocery shopping tips have helped. I always wondered if we were the only ones that found grocery shopping stressful, but I found out through conversations with other full-timers that we definitely were not alone in this. I’m saying that the struggle is real! 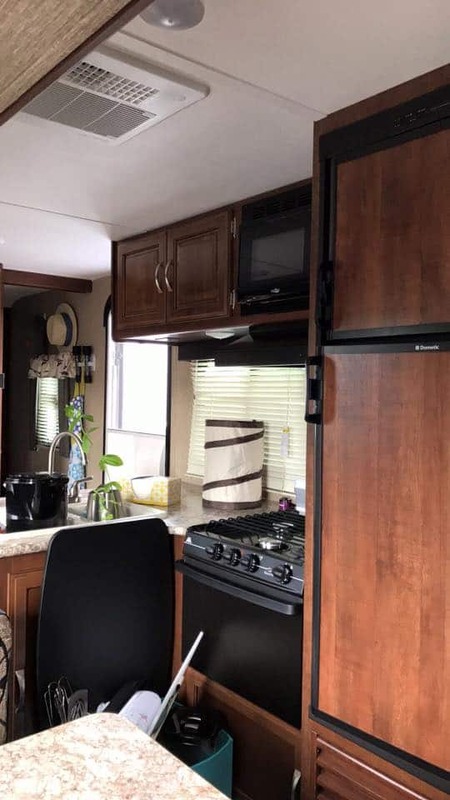 If you have any tips to share on how you make full-time RVing + grocery shopping more efficient and less painful, please share! 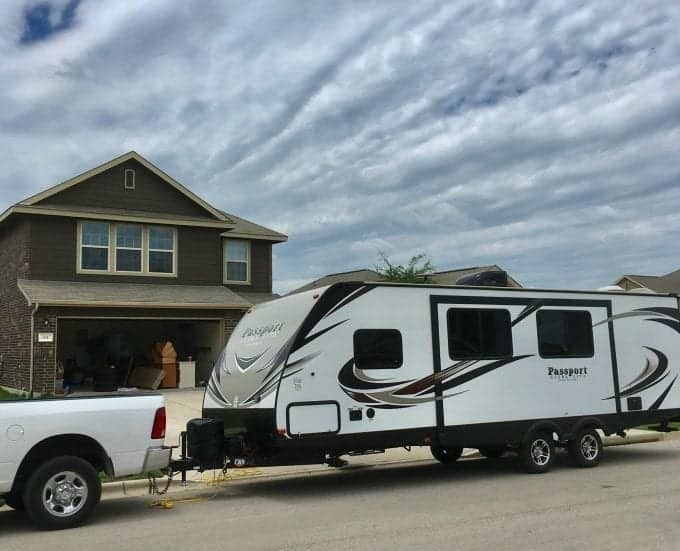 From Accumulating to Adventuring: Our Family’s 100-Day Transformation Teenagers & Full Time RV Living: How Our 14-Year Old Stays Connected and Makes Friends on the Road What To Do With Your RV If You Want to Stay At An Airbnb Is Full-Time RV Living Right For You?